Reading a sign in Welsh can be quite a painful experience, though we believe that there is post-traumatic help available. 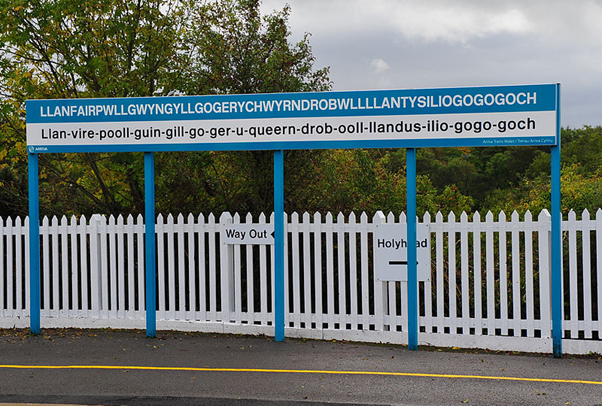 Most Welsh words are utterly unpronounceable due to a national shortage of vowels; a running joke on St George’s side of the border is that there is a secret vowel tax in Wales. Now, it may seem that this whole Welsh vowel tax is a bit of a joke, and that it couldn’t happen anywhere else. That would be silly, right? And before you dismiss that figure as well. Look how similar that number is to the Welsh vowel tax. Just a little bit lower, but very similar. Even though those numbers were arrived at in very different ways. Suspicious much? One final thought. Students of the world; does it not seem strange to you that you get set so much long homework with so little point? Does that not strike you as odd? I mean it’s not as if teachers got paid by the vowel that students write for homework, that would be silly. But if it was true, they would have to make you write 25 pages per week to make their salary. Centives suggestion? Play the system and write all of your homework about the mythological Greek island Aeaea. Enjoyed this article? You might also like our look at our analysis of The Avengers trailer, or how much the TARDIS is worth. You can find those and other interesting things in our Editorials although if you want a selection of our most popular check out the Greatest Hits. You might also want to follow us on Twitter or Facebook to get the latest and greatest from Centives.